​Chris graduated from the University of Plymouth in 2011 before becoming a Business Travel Consultant for an independent travel agent. 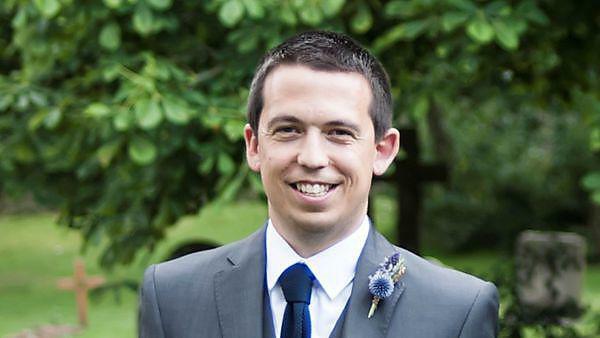 Chris tells us about his experience at the University of Plymouth and successful career. "I looked at several different universities and Plymouth appeared to have the best facilities and always scored a high rating for my course. It was also in a good location between Devon and Cornwall. The course rating scores compared to other universities and what the course involved helped me choose this particular course. I expected to gain a wider knowledge of the tourism industry and develop overall skills with presentations and written work. I decided to have a gap year and I managed to go travelling around the world by myself. Travelling to a lot of different countries helped me with my course as I saw all parts of the tourism industry. I also worked a lot to save some money for when I was at university. I would recommend undertaking a course at University of Plymouth as it is a really good university with all the things you need within walking distance. The majority of buildings are modern and there is always help available if required. I had a really good year group and we all stuck together helping each other out. I still keep in touch with a couple of lecturers and chat to them occasionally. My one career goal was to always work in the tourism industry. I would say try and do a placement year as I have found that although it helps with ‘what you know’ it is even more helpful with ‘who you know’ as you will be able to make contacts. As I had gone travelling before university I started looking for work straight away. The summer I finished university I worked at golf events around the country and then managed to get a permanent job at Sainsbury’s for a month before I found my current job as a Business Travel Consultant for an independent travel agent. My responsibility is to provide an efficient quick service for business customers travelling all over the world giving them the best options and the best prices possible for air fares, hotels, transfers and all other aspects required when going on a business trip. I don’t think I would have got the job I have now without a degree in Tourism Management. I would recommend trying to do a placement year as a lot of companies require experience. Due to the tourism industry being so large, it is hard to cater skills for all jobs but little bits here and there from each lecture have definitely helped me in my job. My greatest career achievement is going from a Junior Business Travel Consultant to a Senior Consultant within my first year and passing several assessments linked to my job. My goal is to progress to a larger company where after a few years I am able to progress and push myself."